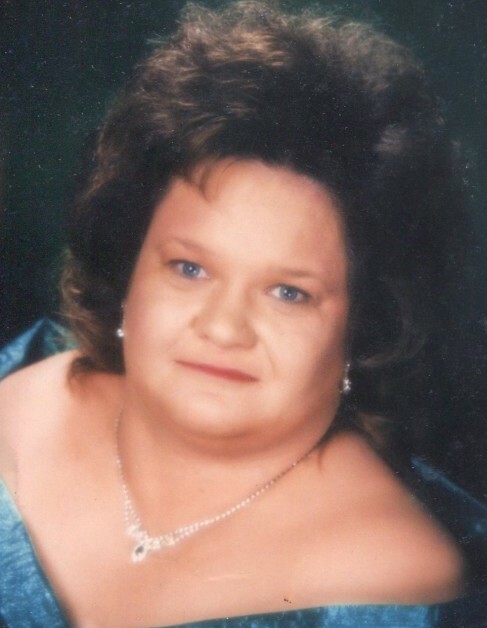 Frances Elaine Starkey, 61, Kokomo, passed away at 12:10 am Saturday, February 9, 2019, at Community Howard Regional Health in Kokomo. She was born March 14, 1957, in Kokomo, the daughter of Chester & Waunetta (Norris) Butcher. Elaine had worked for Camelot Nursing Home as a CNA. She loved crocheting, watching Days of Our Lives, her grandchildren, and she was a great cook. Elaine is survived by her fiancé, Dean Hrabos; daughter, Aundria Stout; grandchildren, Jacob Stout, Steele Stout, and Dodge Stout; brothers, Orville Butcher, Joseph (Nancy) Butcher Sr., and Lester Butcher Jr.; father-in-law, Clarence “Cal” Hrabos; brothers-in-law, Stacy (Cathy) Hrabos, and Jodi Hrabos; and sister-in-law, Judi Hrabos. Elaine was preceded in death by her parents; son, Robert Antrim III; and siblings, Vickie Butcher, Leotta Butcher, Lester “Bud” Butcher Sr., and Chester Butcher Jr.
Funeral services will be held at 1:00 pm Wednesday, February13, 2019, at Shirley & Stout Funeral Home & Crematory, 1315 W. Lincoln Road, Kokomo, with Pastor Jason Grant officiating. Burial will follow in Sunset Memory Gardens Cemetery. Friends are invited to visit with the family from 4-8 pm Tuesday at the funeral home. Memorial contributions may be made in Elaine’s memory to Turning Point System of Care, 616 S. Main Street, Kokomo, IN 46901. Messages of condolence may be left online at www.shirleyandstout.com.